TPC Overall Rank: #332 out of 2933 rides. In User Top 10: 2 times. User Tracker Count: 224 times. 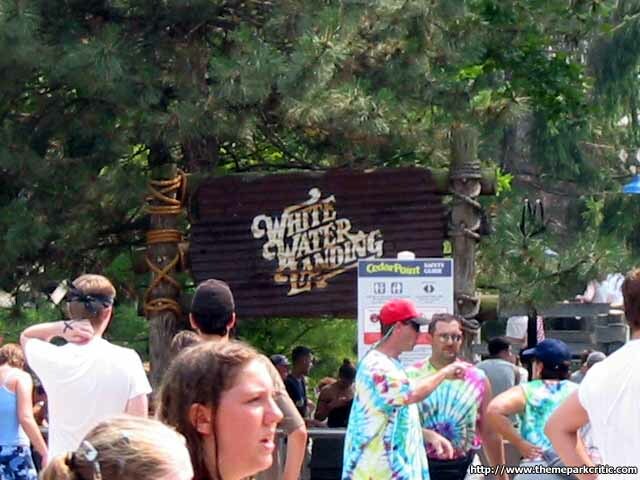 To me, White Water Landing was an outstanding log flume, and although Maverick is a terrific replacement, it is still sad that this water ride had to depart to make room for it. The line always moved at a great clip, and the queue house had a nice western and rustic look to it (it was nice that they kept this and incorporated it into Mavericks queue). The boats were plenty comfortable, and as you left the station, it just felt like you were headin west along a tranquil river. 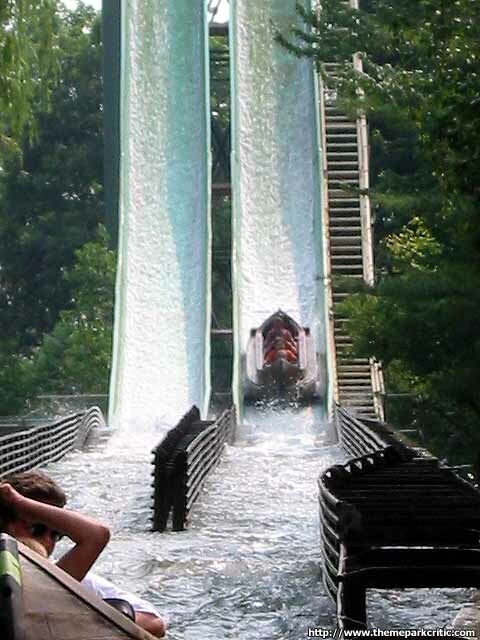 This flume was a wonderful combination of both thrills and a relaxing lower portion. Where WWL scored big points with me was with its setting, scenery, and long layout. The western buildings, trees, and rocks made the lower portion great, along with the nice tunnel. Then, thanks to the picturesque setting, after climbing the lift to the top portion, riders were treated to a stunning view of Lake Erie as they wound around heading to the climaxing drop. The drop was the icing on the cake, as it was quick and fairly big. You got just wet enough, not drenched, on WWL, which to me is exactly how a flume ride should be. Every ride on it was great fun, and Id always leave with a big smile on my face. All in all, this added up to the best water ride at Cedar Point, and it was a prime example of what an excellent log flume should be. You are gone but not forgotten, White Water Landing, and no matter what water ride or flume eventually re-enters the park, there is no doubt in my mind that it will have some giant shoes to fill. Thanks for a stellar run! This was in my top five list for log flumes. It was very long for a flume ride. The lower section of the ride was nice, going along side some Western themed buildings, around some rock work and through the cave. The view of Lake Erie from the upper portion of the ride was fantastic. I was really sad when Cedar Point decided to remove this ride. I havent been on Maverik yet. I hope its a worthy replacement for one of my former favorites. This was a great log flume and Im sad Cedar Point removed it. The layout was pretty good and quite long, and I especially liked how it worked well with its surroundings. The final drop was excellent as it was quite tall and very steep, and I came off a little wet. Im upset cedar point has taken this ride out for yet another roller coaster. This was a classic flume that was a nice length. 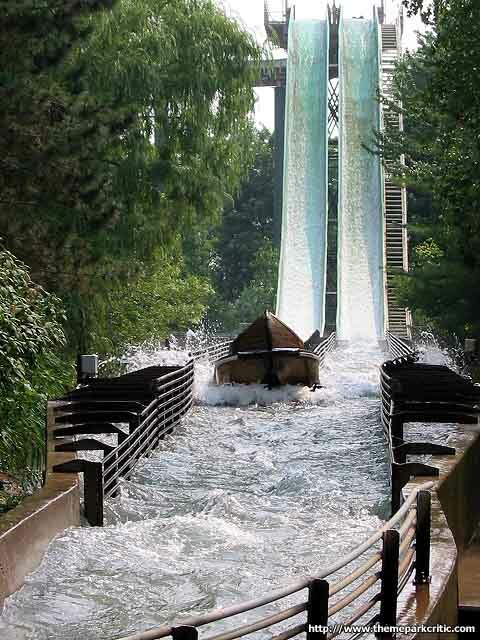 White Water Landings a good log flume. The last drop was great & it was pretty steep too for a log flume. Definitely a great ride to cool you off during the day. Really fun Log Flume ride. The drop is really awesome. And, that drop is really steep for a Log Fume. I didnt really get wet since I sat in the front. But, you never really get that wet on a Log Flume. This is definitely my favorite log flume. Slightly above average flume. Very relaxing and has a peaceful feel to it. The drop is good but the straightaway after it is a bit strange to me: the boat skids for a long time before it actually hits the water, and hence riders dont really get wet. Worth doing but only with a minimal wait. Not too bad, especially nice to ride around sunset, you get a great veiw of the sun just above Lake Eire. The drop is neat, but the rest of it is a little lacking. A basic log ride. Good ole fashioned fun. A nice relaxing journey through the woods before a nice dampening drop for a finale. This is really your basic log ride. It was ok not bad not great. It really didnt get me wet which surprised me. Its a nice family ride.